January 1984: After first strike ever, union was officially approved by the management. April 1984: on the second strike against roster system, all the drivers having participated in the strike were fired and only drivers loyal to the management were rehired. The leaders were dismissed for good. The labour claimed, ‘without us the train won’t run’ while the management boasted that it could train anyone from afresh into a train driver in six weeks, and began recruiting new drivers. 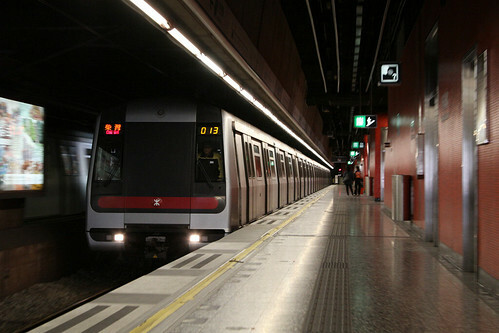 The rapid training of replacement staff was possible due to the use of Automatic Train Operation (ATO) across the Mass Transit Railway network: it removed the need for skilled train drivers by allowing the train to automatically accelerate and brake between stops, with the only human input required from someone to push the ‘start’ button once the doors have safely closed. As early as the Corporation was established, it has adopted the implementation of Human Resources Management, in particular in the aspects of sidelining trade unions. Mr. N S Thompson, in his Chairman statement, has even said that the Corporation did not intend to allow a proliferation of craft unions that have proved elsewhere to have outlived their usefulness, and have contributed greatly towards the deterioration in industrial relations and productivity. Despite these efforts and the determination of the Corporations management on sidelining trade unions, two strikes were organised by an organisation called Operating Department Staff Union in 1984. The strikes were resolved when the Union was offered a more formal place in the Corporation’s consultative procedures. 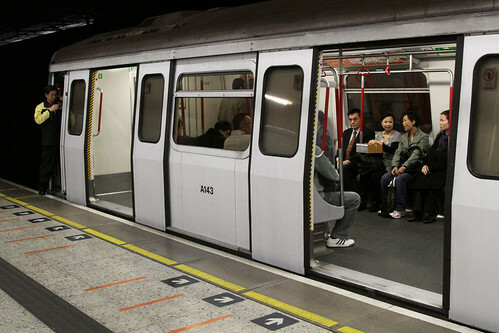 The Corporation is still reluctant to fully recognise the representations of other staff bodies such as the MTRC Staff Union, and the MTR Staff General Association. Created in 1968, the Employment Ordinance (EO) remains the backbone of employment policy in Hong Kong, and covers a wide range of employment issues. Part IVA of the EO gives individuals the right to become a member or an officer of a union or start their own union through the Registrar and forbids employers from preventing union formation or membership or discriminating against members or officers. However, there has never been a successful case against an employer for discrimination towards an employee based on union affiliation. For example, in 1984 a strike was called by the Mass Transit Railway Union over recognition that was not being granted by the Mass Transit Railway Corporation. The Mass Transit Railway Corporation fired all of the strikers and rehired all but 13. Included in the 13 were the union chairman, vice-chairman, and secretary. Discrimination charges were never proved and the sacking of union leaders continues to this day. The generally good employee relations atmosphere was marred in 1984 by two strikes staged by the Operating Department Staff Union. This was the only union in the Corporation and claimed a membership of 600 staff. In January 1984, the Union staged a lightning strike lasting 3 days, with the loss of 381 man days of work. The strike was resolved when the Union was offered a more formal place in the corporation’s consultative procedure. In April, the Union went on strike again, mainly to oppose the implementation of a flexible roster amongst train drivers. The strike lasted 2 days and resulted in the loss of 675 man days of work. The strike ended following the dismissal of all 254 of the second day strikers All but a few of the strikers were subsequently re—engaged and an amicable settlement was reached with the others. 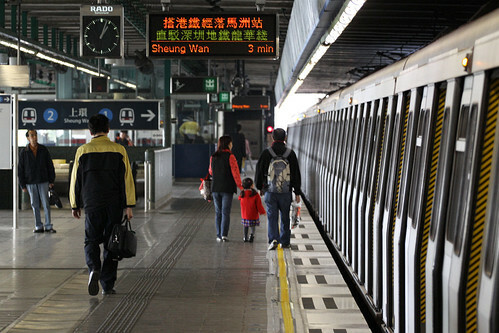 Staff unions of the MTR Corporation have expressed their disappointment with the company’s pay raise offer. Unions had demanded a 7 percent raise across the board. Union representatives met with corporate management on Wednesday afternoon to discuss the salary adjustment. After the meeting, Lam Wai-keung, vice-chairman of the Hong Kong MTR Staff General Association, expressed “regret and disappointment” to the offer. The Hong Kong Railway Employers Union delegates staged a walkout in the middle of the meeting to show their disapproval of the offer. About 14,000 employees of the MTR Corp will receive pay rises of up to 7.8 percent from this month – but unions are unhappy. The unions, who are asking for 8 percent in light of a huge profit last year for the rail operator, are not ruling out industrial action to get more for their members. Leaders of seven unions met the MTR management yesterday afternoon at the Kowloon Bay headquarters. Close to a dozen unionists emerged to tell the media about the pay offers and shout slogans and brandish banners to reflect their discontent. Union leaders will meet members soon to decide what comes next. “If most of our members do not accept the offer I can’t rule out the possibility of taking industrial action, like a work-to-rule,” Lau said. Mass Transit Railway workers threaten a work-to-rule action if MTR Corporation rejects pay rises of up to 8percent from next month. About 30 unionists who represent staff at stations and control centres yesterday handed in a list of demands at company headquarters in Kowloon Bay. Rainbow Lau Choi-hung, the chairwoman of the KCR Operating Staff Association, said union representatives will meet management on Friday, and workers may take industrial action if demands are not met positively. The current management of the MTR Corporation is much different to that of the British colonial style of the 1980s, but I wonder what the future will bring? This entry was posted in Transport and tagged Hong Kong, industrial relations, KCR, Kowloon Canton Railway, labour relations, Mass Transit Railway, MTR, rail operations, railway. Bookmark the permalink. Speaking of the removal of need for skilled drivers, did you hear about the recent controversy of an MTR driver being filmed being distracted such as watching soccer matches on his personal tablet and clipping nails while the train moved about under ATO control? I wonder if the local union assists drivers if they are investigated for reasons such as this. Apologies for the long delay in response. I have no idea if the local union assists in that situation but I suspect even if they did they would probably wouldn’t be able to do much given the more free market economy of Hong Kong.